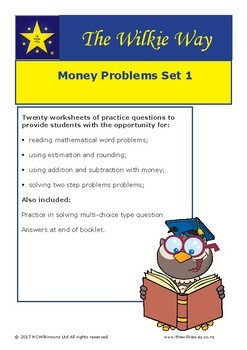 This set of 20 worksheets (over 60 questions) provides students with the opportunity to practice answering questions in the context of money. 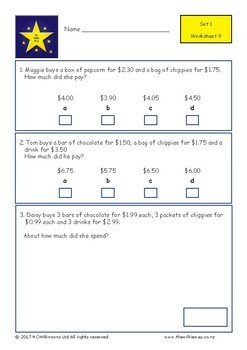 They will have practice in reading word problems, using estimation and rounding, using addition and subtractions and solving two step problems. 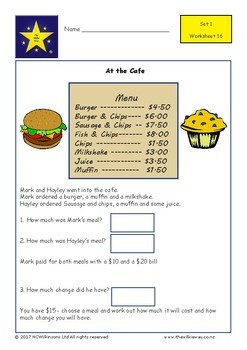 There are a range of problem types including multi choice type questions which are often used in testing situations.